Tickets for this year’s Spirit of Speyside festival are now on sale, offering whisky fans the chance to tour normally closed-to-the-public distilleries and taste exclusive drams. The 19th edition of the annual festival returns to Speyside on 3-7 May 2017, offering a packed line-up of around 500 tastings, tours, dinners and dances. The five-day celebration also offers visitors the chance to tour distilleries that are usually closed to the public, including Tamdhu, Strathmill, Tamnavulin, Inchgower, Balmenach, Dalmunach, Tormore, Braeval and Allt a Bhainne, plus the three distilleries used to create Ballantine’s whisky, Glentauchers, Miltonduff and Glenburgie. Visitors can learn about the art of coopering at the Speyside Cooperage or Glenfiddich distillery, as well as the creation of washbacks with Joseph Brown Vats of Dufftown. The festival will also see the return of last year’s popular Whisky Caching excursion, a high-tech treasure hunt for secret stashes of Scotch whisky. Scotchwhisky.com will also be hosting a series of events in collaboration with the Craigellachie Hotel, including a whisky dinner on 3 May to celebrate the life of Alexander ‘Sandy’ Edward, who built the hotel as well as Aultmore, Benromach, Craigellachie and Dallas Dhu distilleries. Throughout the week, Scotchwhisky.com chief engineer Dave Broom will be co-hosting tutored tastings at the hotel with the Quaich Bar’s Lyndsey Gray, kicking off with an exploration of the significant contribution the railway made to Speyside’s whisky community on 3 May. On 4 and 6 May join Broom and Copper Dog’s Stuart Morrison for an in-depth guide to the blended malt, and how blending lies at the heart of all whisky, while fun-seekers won’t want to miss round two of the notorious Battle of the Villages, which sees Dufftown take on Aberlour on 5 May. All Scotchwhisky.com’s events taking place at Spirit of Speyside can be found here. The festival itself is free to attend, although each individual event is individually priced. A full list of what’s on, including a selection of free-to-attend events, can be found at www.spiritofspeyside.com/events. 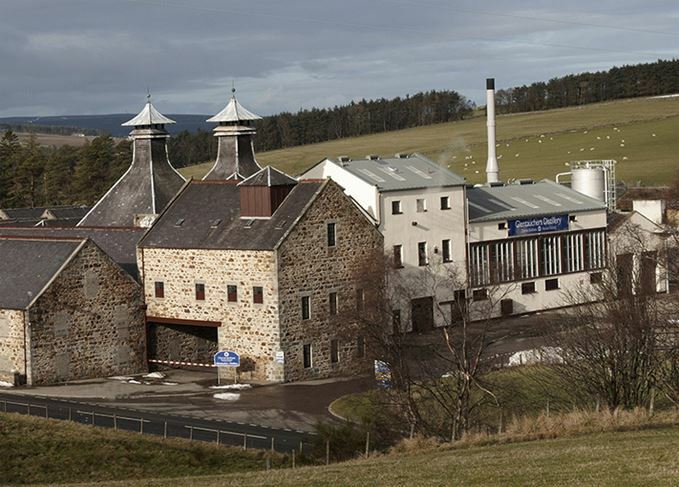 From tours of usually publicly closed distilleries to probing whisky masterclasses and tastings.